Common Area Finishes: Full height Mahogany doors, steel door frames, polished stainless steel columns, fabric, granite flooring in lobby, dual dramatic skylight-ed atriums and perched sky lobbies. Ceiling Height: 8’ 6” (12’ on first floor), 2X2 grid, recessed Armstrong Cortega tile. Lighting: Energy efficient parabolic 2 x 4 standard 3-tube T-8 fluorescent light fixtures with full-spectrum warm white tubes are throughout the entire Building. Floor Loading (typical floor): 70 lbs PSF in tenant space (including partitions). Accessibility: South bound Dallas Tollway and Parkway. From Tollway, exit Verde Valley/Quorum, go 1/2 mile on the service road. There are two entrances/exits to Building from the service road. A second entry point was added in 2001 via Landmark Extension, on the west side of the Building. Ingress/Egress: Dual access. Located on West side of the North Dallas Tollway, between Belt Line Road and Spring Valley Road. Andover Card Access System with readers for main entrances and parking garage. 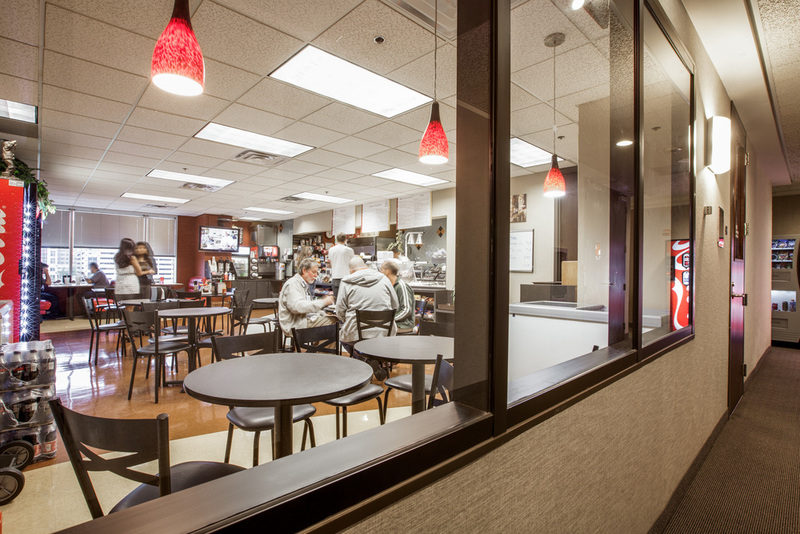 HVAC After Hours:Available by card access, 2 hr. min. Exterior Materials: Highest quality Italian Napoleonic Granite exterior with reflective silver glass curtain and ribbon windows with silver mirrored reflective glass. Security: Central control facility monitored 24 hours a day, on site courtesy patrol guards by iidon Security; after–hours tenant access via Andover Continuum encoded card access system (HID); guest telephone outside the Building. Fire Suppression: Sprinklers throughout the Building and Parking Garage; Pressurized stairwells. Mechanical Systems: Two Carrier Centrifugal chillers (500 and 250 tons), chilled water VAV system with electric duct strip heat, two (2) vane axial Flakt supply fans to centralized duct system. Power induction boxes on ground floor, with separate basement air handler. Andover Continuum Energy Management System upgraded 2003. 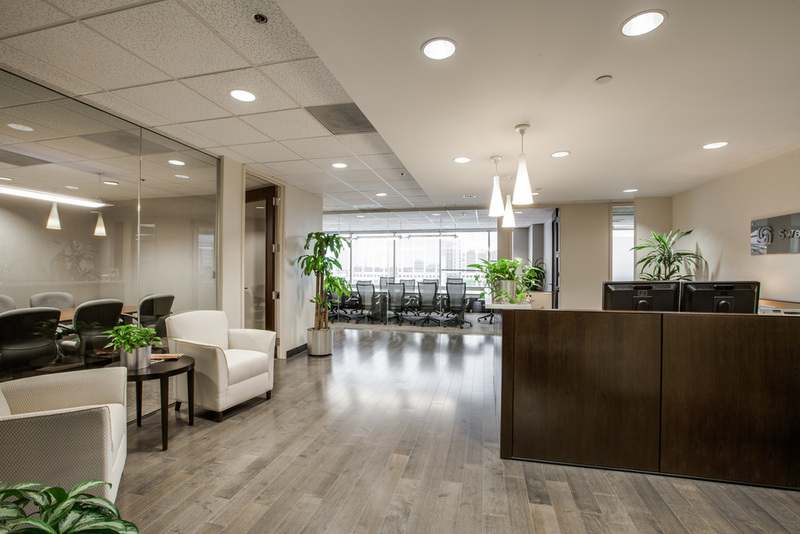 Local Features: The Building is located in Addison Texas (www.addisontexas.net) and is very convenient to the prosperous and bustling communities of Plano, Carrollton, Farmers Branch, Coppell and North Dallas, and the Golden and Platinum Corridors. Public Transportation: DART stop in front of building.